With the right attitude and a positive mind set, you can beat the competition and land the job of your dreams. Of course, landing a job in this tough economy requires that you be smart in the way you apply to jobs. You do not need to spend endless hours filling out job applications online. There are more efficient ways to enter into a career field, and you can read on to find out these ways. After you have these documents completed, take a day to sit down and write out your strategy for finding a job. Think about the career fields that interest you and in which you have strong skills. After you have defined these career fields, then you will want to think about the places that employees and people with power in those career fields usually go. This may require some creative brain-storming and time, but the time is well spent. You will be able to visit these same places and network with these individuals. In addition to hanging out in places where high-powered professionals visit, you can also stand out from the competition by sending out letters to friends and family members. 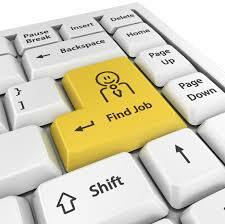 Circulate a letter that announces you are looking for a new job in a particular career field. You would be surprised by how many friends and family members will step forward with valuable connections to offer you. There are a couple other ways to obtain a full-time job. Try working on your interviewing skills, and make sure you have anticipated responses to questions on the topics of past employment, your career goals and your ability to be a team player. You may also want to join professional social media networks and add contacts on these websites. Also, make sure that no unprofessional content about you is on the Internet. Make sure you take steps to clear out any of this type of information, otherwise an employer will be dissuaded from hiring you. Having a subscription to a local business publication will keep you aware of local networking opportunities. You can also find out about charity events from these publications. Attending high-class events is an important way for you to establish yourself as a prominent member of your community. As you continue to attend these events, the question will inevitably arise, “What do you do for a living?” You can answer by telling the person that you are currently searching for new career opportunities. People at these events are usually in a good mood and are willing to help you in whatever way they can. The key to finding a full-time job is to talk with people and be open to approaching people. You would be surprised by how few people actually know how to initiate a conversation with other people. By learning to open up about yourself and share your career goals with other people, you will land more job opportunities than the average person who only fills out online applications. Older generations want to see that you have strong communication skills and can work well with clients. Speaking with people from older generations at networking events and charity events can help land you the job of your dreams. Will writes on behalf of a number of businesses ranging from Auto-Enrolment and Employee Benefits to holiday destinations. He enjoys reading design and technology blogs and is currently leaning HTML coding. Any opinions expressed in the article do not necessarily represent the businesses Will writes for. Next ArticleHighest Paid Jobs: Your Search Ends Here!